PLEASE JOIN US for the 60th Anniversary Reunion, July 19-22, 2018. See the Reunion pages for more information, and purchase tickets at gpgc60.com. The GPGC Alumni Association is a group of former students, teachers, and associates of the Louisiana Governor's Program for Gifted Children. It was founded by Dr. George Middleton and held its first summer session at McNeese State University in 1959. 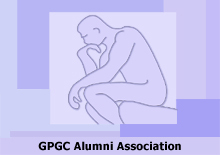 Any person who attended for any length of time, or who was associated with the program as a staff member, is automatically considered a part of the GPGC Alumni Association. The purpose of the Alumni Association is to give alumni a place to update their contact info, find old friends, exchange news, revive fond memories, and maintain a link to the GPGC. There are no fees, although donations are always appreciated and will be used primarily to support the current Program along with the association itself. Registering will also allow you access to the GPGC Alumni database and all of the other Members Only features of the website (available only after logging in) so that you can find old friends and participate in all of the GPGC Alumni Association events and activities.